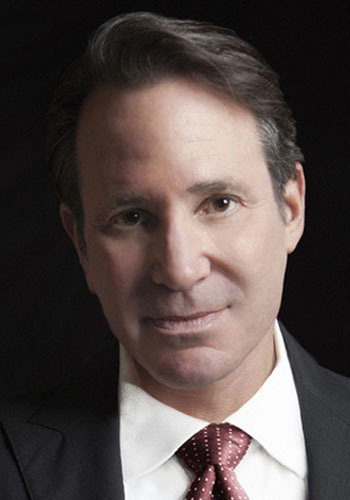 Stephen S. Strick - Mediator & Arbitrator based in New York, New York. If you’d like a list of available dates for Stephen Strick, please submit a request below. You will hear back directly from Stephen's assistant, Erica Patricio. Stephen Strick is a New York and Los Angeles based arbitrator and mediator who has served on numerous international and domestic ADR matters since 1982, when he was appointed to the American Arbitration Association's Panel. He currently sits of the neutrals rosters of the ICDR's International Panel of Arbitrators and Mediators, AAA's Commercial, Large Complex Case, Federal Communications Commission and Mediation Panels, the CPR's Panel of Distinguished Neutrals, the Independent Film and Television Alliance's International Panel of Neutral Arbitrators and the New York Branch of the UK's Chartered Institute of Arbitrators. Prior to starting his ADR practice, Stephen was a film and television lawyer and studio executive and worked at such companies as United Artists, HBO, and Dino DeLaurentiis Corporation. He was in private practice and worked at the predecessor to the law firm Loeb & Loeb. Stephen was educated at Stanford University, The University of California’s Hastings College of the Law and Pacifica Graduate Institute. In addition to being a Fellow of the College of Commercial Arbitrators, Stephen is a voting member of the Academy of Motion Picture Arts and Sciences' Executive Branch, a member of the Bar Association of the City of New York, The American Bar Association (ADR Section), and U.S. Council for International Business. Mr. Strick has volunteered his time, services and donated resources to numerous charities and organizations including the International League of Human Rights, the American Film Institute, Counseling West and others. Stephen recently served as Co-Chair of the CCA Outreach Committee from 2012-2014, serves on its Branding and Image and International committees, and is a Member of the College's Board of Directors and serves on its Executive Committee. Please call office for details of rates.